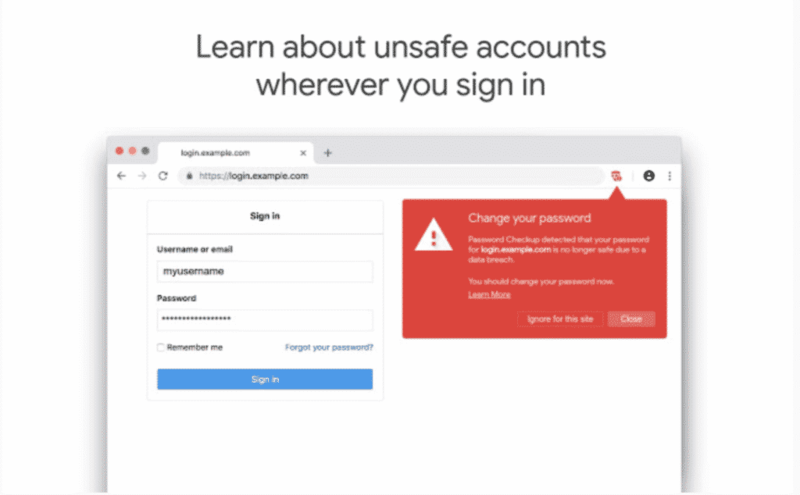 Google has released an official Chrome extension to help you keep your online accounts safe. And we are talking about non-Google passwords here. Let me explain. Assume that you use the password Password123 (don’t make that your password btw 🙂 ) to log into website A. Now, let’s say, website A was hacked and your password was compromised. The next morning, you wake up, open Chrome and log into website A again. Chrome, or rather the “Password Checkup” extension will tell you that this password has been compromised (because they are Google and know everything) and you should change it. You should change the password for Website A, and also anywhere else where you use the same password (Password123 in our example). This works for all non-Google accounts, according to the official help page here. That page also reassures that if a Google account password has been compromised, they will let the user know even if they don’t have the extension installed. How does Google know when a password has been compromised? I am going to install this extension right away and I think you should do too. Here is the link to download. Read the official blog post for more details.